In regard to promote Vietnamese Gastronomy, The Saigon Culinary Art Center brings to Tourists as well as to Foreign Professional Chefs, an exciting discovery of the excellence and the variety of food of each region. At “The Saigon Culinary Art Center”, in a spacious Vietnamese House of yester-year style, you are offered a “Hands-on Cooking Course” of traditional dishes. 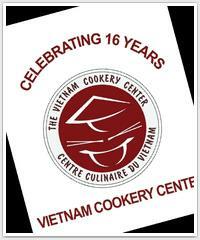 The program of teaching is emphasized on the culture of Vietnamese gastronomy as well. “The Saigon Culinary Art Center”, a cultural destination where "Food Lovers" could meet experienced Grand Chefs from Saigon Tourism School and International Restaurants to share their know-how. Our Cooking school is the first opened in VietNam and known for over 16 years as the most professional Cookery School teaching authentic Vietnamese food; we are located right in the heart of HCM city, in old 1930 French building, Colonial apartment with wood floors, huge terrace ,fantastic view! You will love the wonderful initiation to Vietnamese Gastronomy with a perfect hands-on cooking class , then taste your own creations; you will also have the unique opportunity to go back in history and spend time in one of the last French colonial building still erected . 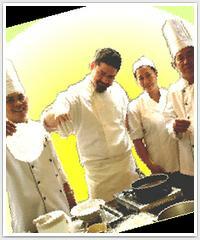 This is really a '3 tours-in-1' : 1-Hands-on Cooking class :different traditional Vietnamese menu everyday. 2-FREE ! sit on our terrace and feel the “Old Saigon” atmosphere, in a building where the Elite used to live. 3-FREE ! an unique view and take as many pictures as you like !